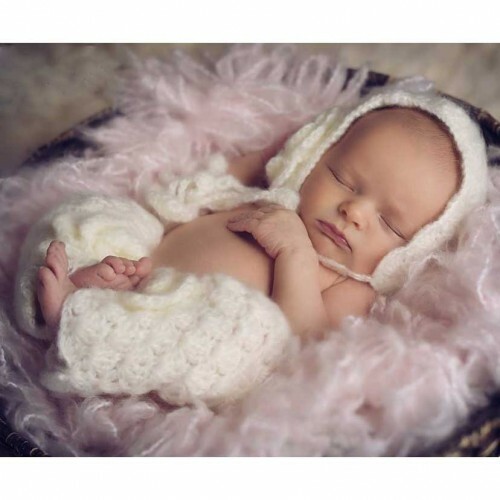 Luxurious soft cream mohair leg warmers with matching bonnet for baby! Crocheted in a lovely lace design and adorned with a rose. 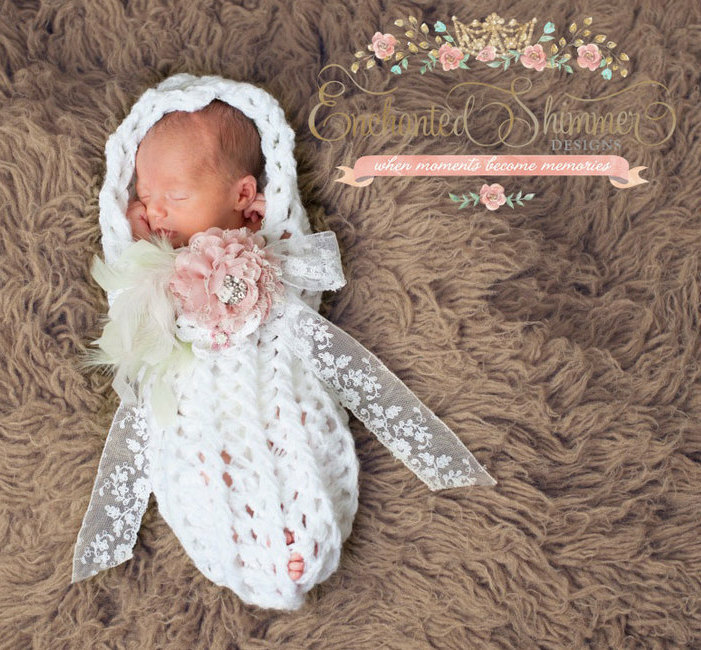 These look adorable for newborn photos!